Alert! The shortlist for the inaugural Etisalat Prize for Literature has been announced. 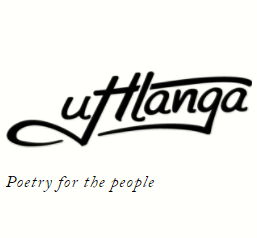 The longlist of nine titles has been narrowed down to three by judges Pumla Dineo Gqola, Zakes Mda, Billy Kahora and Sarah Ladipo Manyika. “The diversity of these debut novels, both on the level of content and narrative style, makes this a very exciting shortlist. Whether it is Bulawayo’s coming of age story set in the context of contemporary global migration, or Omotoso’s cross-cultural tale with its slowly unfolding secrets and interconnected narratives of love and loneliness, or Jennings’ multilayered exploration of history and allegory, each story is uniquely compelling,”said judge Manyika of the three novels that made the cut. The prize is the “first ever pan-African prize celebrating first time writers of published fiction books” and the winner will receive £15 000, an engraved Montblanc Meisterstück pen and an Etisalat Fellowship at the University of East Anglia, under the mentorship of The Last King of Scotland author, Professor Giles Foden. The winner will be announced at an event in Lagos on Sunday, 23 February 2014 (at the same function where the winner of the somewhat controversial Etisalat Prize for Literature Flash Fiction category will also be announced). Congratulations and good luck to Omotoso, Jennings and Bulawayo! Lagos, Nigeria; 12:00, January 22, 2013: Innovative telecommunications company in Nigeria, Etisalat, today announced the 2013 shortlist for the Etisalat Prize for Literature. Bom Boy by Yewande Omotoso has been shortlisted for the Etisalat Prize. Congrats also yo Karen Jennings and No Violet Bulawayo! Fantastic news! "@modjaji_bks: Bom Boy by Yewande Omotoso is on the Etisalat short list! Soooo thrilled! http://t.co/5AuiIR6J57"
Congratulations all, that's a great (and very short) short-list. I can't tell you how thrilled and proud I am that Bom Boy is on the list. So honoured to have published Yewande's debut novel. BTW do you know that Joanne Hichens was her supervisor at UCT and Karen Jennings, also on the short-list, edited Bom Boy? A prize like this is incredible for the publisher, especially a small one like Modjaji Books and Karen's publisher - Holland Park Press. The prize buys 1000 copies of all the shortlisted titles for a range of book clubs, libraries and schools in Africa. No-one who is not a small publisher has any idea of what this means. 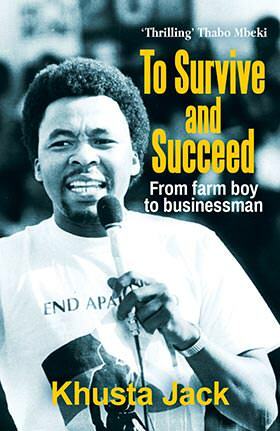 It is brilliant when authors and titles win prizes, but this is inspired, especially in Africa, where the accolades do not necessarily come with sales. Most of the time as a small publisher, huge juggling is required. It is hard to even give a sense of this without embarrassing myself publicly. But this short-listing with it's heaven-sent gift of the purchasing of 1000 copies is like manna from heaven. It really is rain in a long drought. That's excellent foresight by the organisers, Colleen. Congratulations to you and all the shortlisted writers! Colleen, I am so thrilled for you, Karen and Yewande. And I do have an inkling of what this means for a small publisher! Hearty congratulations to the tiny but brilliant Rain Queen team, and to NoViolet. I am desperately disappointed for Jamala Safari, whose extraordinary book deserves more attention, but take comfort from knowing that the judges had a tough job, largely because of the extremely high standard of the longlist. Which is all good. I didn't know that the prize purchased 1000 copies of the book, Colleen - what a boon! Congratulations to Modjaji, Omotoso and all. Love the idea of your books suddenly popping up all over the continent. The notion of prize sponsors buying books is truly brilliant. Kate Mosse describes how the Orange/Women's Prize, by buying 2000 copies each of their shortlist for distribution to libraries in the UK, literally keeps tiny independent presses alive, which in turn gives outsiders and first-time writers a chance to compete. It also means that presses can take a chance on a talented novice writer. Definitely something for SA literary prize committees to consider.